CMS has decided to raise rates for private Medicare Advantage (MA) plans. This is contrary to its earlier announcement that private Medicare reimbursement rates would be reduced to reflect slower per capita growth in Medicare and health care. Politicians from both parties and insurance companies called for this change and, unfortunately, CMS reversed course. So, private Medicare will continue to cost more than it would cost to serve similar beneficiaries in traditional Medicare. While this may be good for insurance companies that offer MA plans, it is not good for Medicare, the vast majority of Medicare beneficiaries, or taxpayers. Why should we spend more of our limited public funds on private Medicare when traditional Medicare costs less? Why should taxpayers ensure private profits to deliver public Medicare coverage? After all, the experiment in privatizing Medicare was originally intended to see if a private model would cost less, while providing the same or better coverage than traditional Medicare. That was not to be. Private plans left the market when their reimbursements were capped at or below the per capita rate of public Medicare. CMS failed to learn from that experiment, and maintain the cost of traditional Medicare as the maximum taxpayers would pay for private plans. Instead, since the Medicare Act of 2003 we actually pay private plans more than traditional Medicare. This result is not good for the financial security of the Medicare program or for the federal budget deficit. It’s not good for the vast majority of beneficiaries who continue to choose the traditional Medicare program. It’s not even best for many MA enrollees, particularly those with long-term and chronic conditions, who often get less coverage than they would in traditional Medicare. And remember, by design MA plans have limited networks, so private MA enrollees have fewer choices in physicians and other health care providers than they’d have in traditional Medicare. 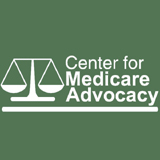 The Center for Medicare Advocacy continues to call for parity in payments between private Medicare plans and traditional Medicare. It’s the best deal for taxpayers, the Medicare program, and the vast majority of Medicare beneficiaries. Common sense should prevail. Once again, Rep. Paul Ryan has reiterated his plan and commitment to “save” Medicare through priatization. (http://washingtonexaminer.com/opinion/op-eds/2012/05/medicare-two-paths-two-futures/568246) If only the logic of his plan was as clear as his determination to change Medicare into a set of capped vouchers. If passed, the popular community Medicare program would be replaced. Instead, individuals eligible for Medicare would get an annual alloawance to shop for their own insurance coverage. Yet again, the Ryan plan would eliminate Medicare, not save it.